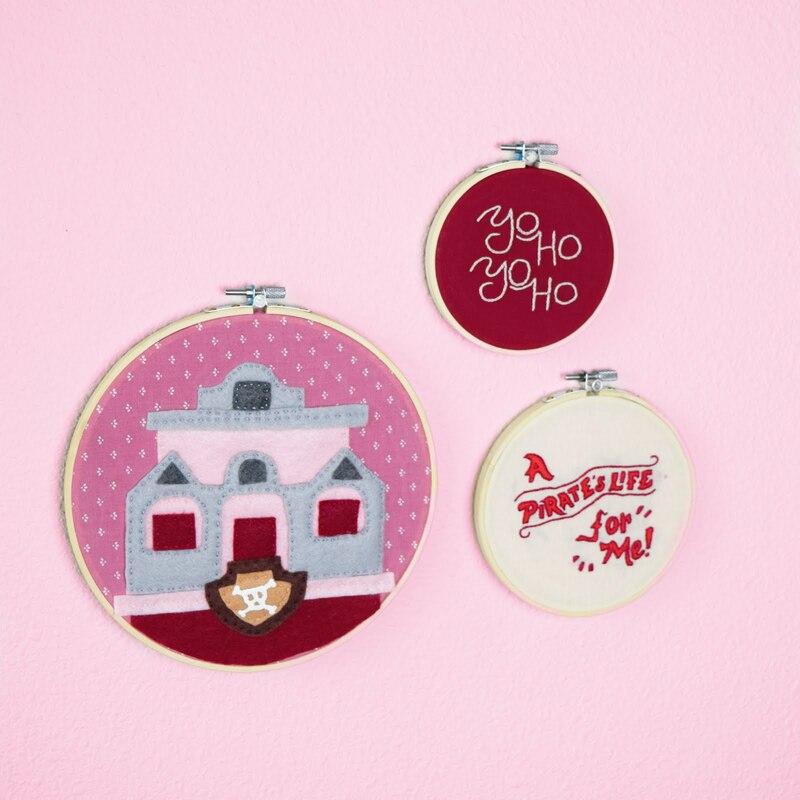 What I love about this DIY is it is so darn cute together but each hoop works separately too! 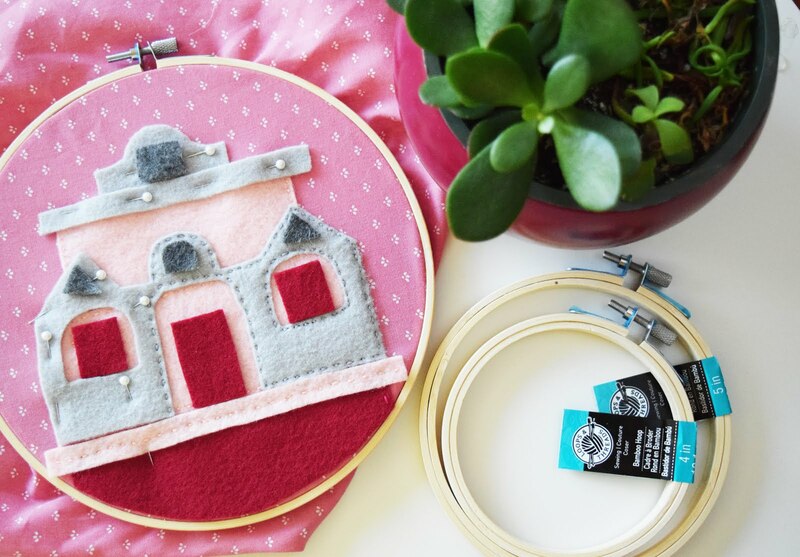 The felt building may look hard at first glance, but it is actually super simple to create! These would look so cute in a Disneyland lovers dorm room or in a little corner of a home next to some park pictures. This attraction is one of my favorites and it was a thrill to make these. Get the full instructions on Disney Style! Beauty And The Beast Funko Pops!